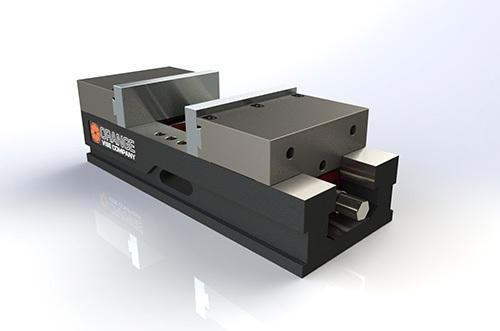 Orange Vise Company located in Orange County, California started making vises in 2012. Right from the beginning, they committed themselves to continually creating innovative products and proving that American ingenuity could not only compete, but raise the bar of performance, quality, and value in the modern global marketplace for industrial tooling. 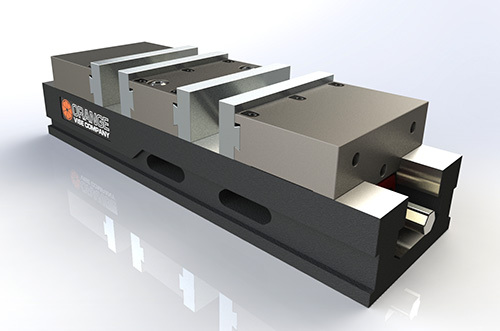 Third-generation vise with CarveSmart IJS™ (Integrated Jaw System) as standard equipment. Compatible with CarveSmart™ dovetailed quick-change jaws as well as standard 1/2"-13 bolt-on jaws with a 3.875" x 0.9375" bolt hole pattern. Can be converted to single-station configuration without any extra hardware. 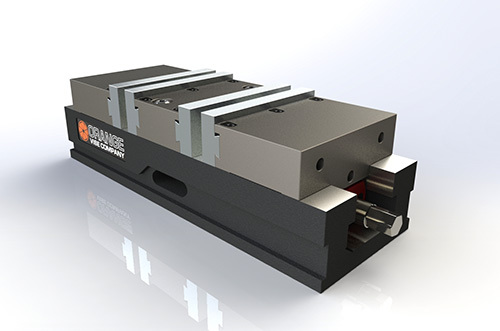 Includes two (2) sliding jaws and one (1) center jaw with CarveSmart IJS™ Integration, four (4) hardened bolt-on jaw plates, six (6) edge clamps, and assorted hardware.